I had no idea this book already had a release date! August 6th Biting Bad, December 3rd Kicking It, and now February 3rd for Wild Things! You are truly amazing Chloe Neill and I can’t wait to absorb each and every word in each book. Love these books, love cadogan, love merit, love ethan, love chloe neill! Omg I had no idea we had a name for this book yet?! Im so excited to read your series I just wow im so happy!! Just foud this series and love it! Would really love to see it on the big screen. We need a girl like Merit up there. On a side note, Merit has seemed to change in appearance from the first few book covers to the one coming out in February. Like the older ones better…..
Great books, I have become a real fan!! Please please let Merit and Ethan stay together ! Just had read another series and that ended a great relationship ! Please keep them together! can not wait for the next few books, will it be ten in total?? Hi i am from india and i just finished reading biting bad, its awesome !!!! This is the best series, I love it and I agree it should be in the big screen. You are amazing and I can’t wait to read more! It’s inspiring and reading about such a strong woman makes me feel empowered. I just get lost in the stories and I love it, it helps when you can escape reality for a little bit. Thank you! Just finished Biting Bad…. You amaze me every time Chloe. I am a fan for the long run. I’m so glad I stumbled apron your books one day at b&n. I had spent way to many days in the teen section lol. You changed my whole outlook on adult novels and tho I venture back to the teen section every now and then, I love my adult novels. I absolutely love getting lost in Merits words and emotions. You have me constantly on the edge of my seat and laughing at Merits witty remarks. I have told so many of my fellow vamp lovers about your books and they have all been impressed. Thank you for your creativity and brining Cadogan House to life. 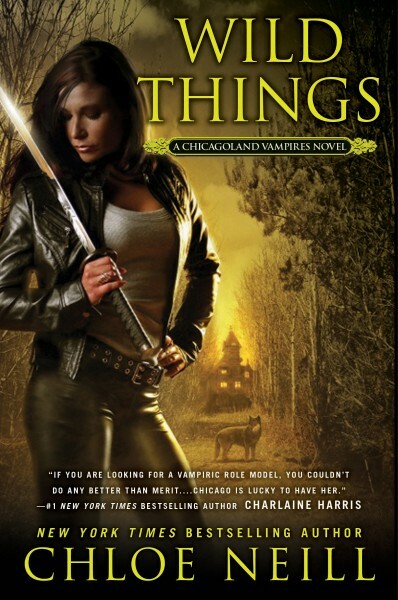 I have laughed and cried and smiled and battled right along side my Chicagoland Vampires. I can’t wait to see what the future holds for them. Thank you so much. I just read the first 8 books this past week and can not wait for the next. That includes the short stories too. I can’t believe it took me so long to find this series. I am beginning the St. Sophia’s this week. Chloe Neill you are an awesome writer! Hi Chloe, i love your series and i really appreciate your efforts to keep the book going! Please continue your awesome story of merit and ethan, i love them both together and i can’t help but keep re-reading your series. Can’t wait for new books to be out, i need my vampire fix! I love these books. Thank you for writing them! I love these books as well, got my daughter onto them way back after Some Girls Bite, and now she usually steals them when they arrive from Amazon so she can read them first. Thanks for having us waiting too long in between books. When does the first chapter excerpt go up? How close to the release? I really enjoying your urban style. I’ve lived in the Chicago area for over 20 years and I love that you are bring this city to life! Chloe…thanks so much for this series!!!! It’s my favorite supernatural book series! I love Ethan and Merit. Can’t wait for February! I am Sure this book will be a great read. Chloe you do not disappoint. I absolutely love the Chicagoland series and all the characters the books don’t last long enough 🙁 I can’t put them down. Once I start I got to finish. Look forward to owning all 15. You rock Chloe. So excited for ALL the up comeing releases!!! !